Time for another flashback. 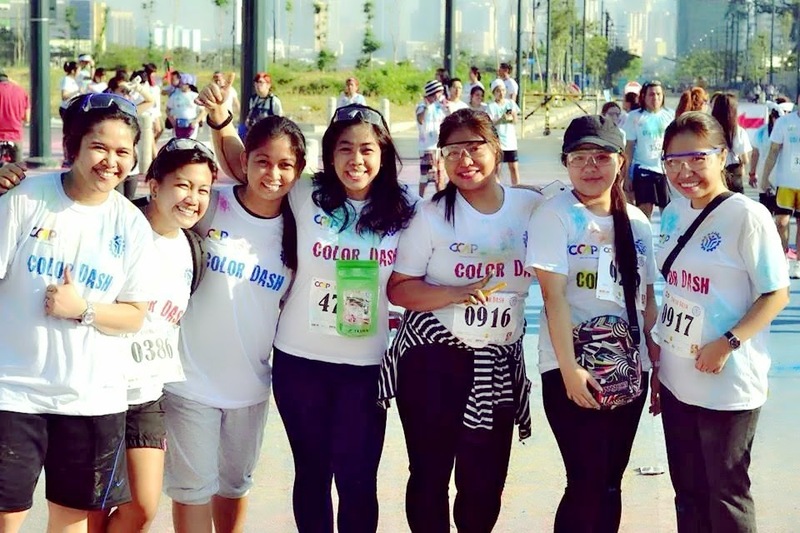 Here's a late entry about the time my officemates and I joined a 5K fun run, The Color Dash. 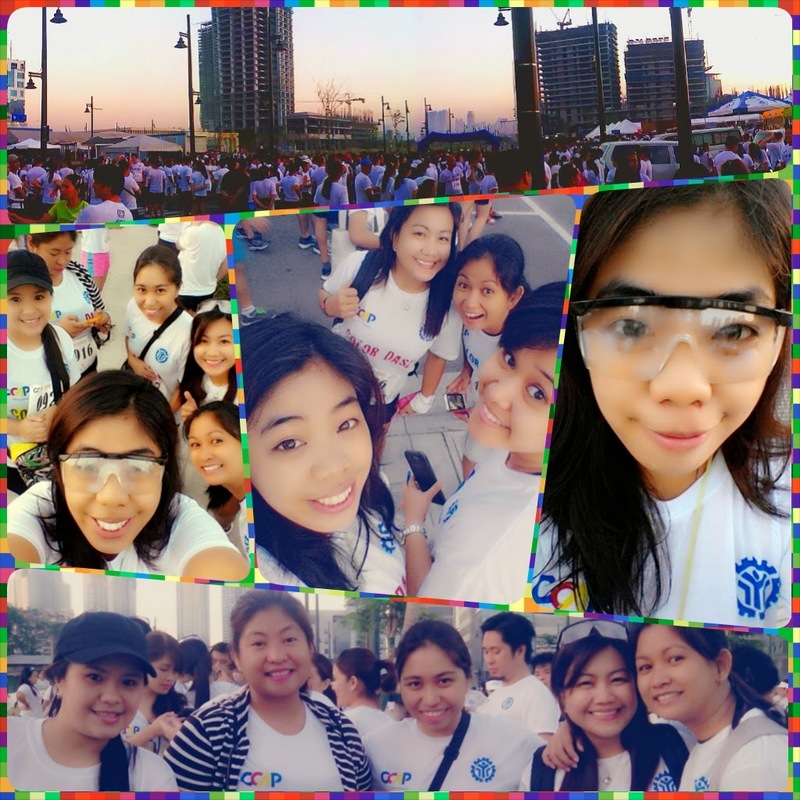 It was organized by the Call Center Association of the Philippines. It's called Color Dash because you get lobbed with different colored powder at every stations. Though it has the word "dash" in it, it's technically a fun run so it's up to the participant whether they'll make it a timed event or just simply walk it off and have fun. Luckily, it was my rest day so I was able to take part in it. Many of the BPO companies in Manila participated in it. Some of the participants wore color coordinated bandannas to recognize their company. Some of them wore colorful baller IDs. There was one who even brought his Shitzu with him. How cute! I even saw people I knew from my previous company. It was very cool! The race kit included one Color Dash shirt, clear glasses to prevent the powder from hitting the eyes, a race bib and the 5K map. Gunstart was supposed to be at 5:30 in the morning but it started at about 6:30. With the sun on the rise, it had already gotten a bit warm. Since there were a lot of people, the start of the run felt a bit cramped but as the others quickened their pace, there was more room to run. I decided to make it a timed run since I really don't join fun runs or marathons. One of the color stations was a bit unorganized since there was no one to hurl the colored powder at the runners. One of the colors smelled weird too but that's okay (I was having a great time to care! lol). I had fun! A great way to escape the daily routine of taking in calls. We all cross the finish line with colorful swirls and smiles on our faces! What a pretty and colorful sight! There was also an after race event but we weren't able to join because we all had shift that night. Nevertheless, I had an awesome time!